NCHU is located in the south of Taichung City with an area of approximately 53 hectares. 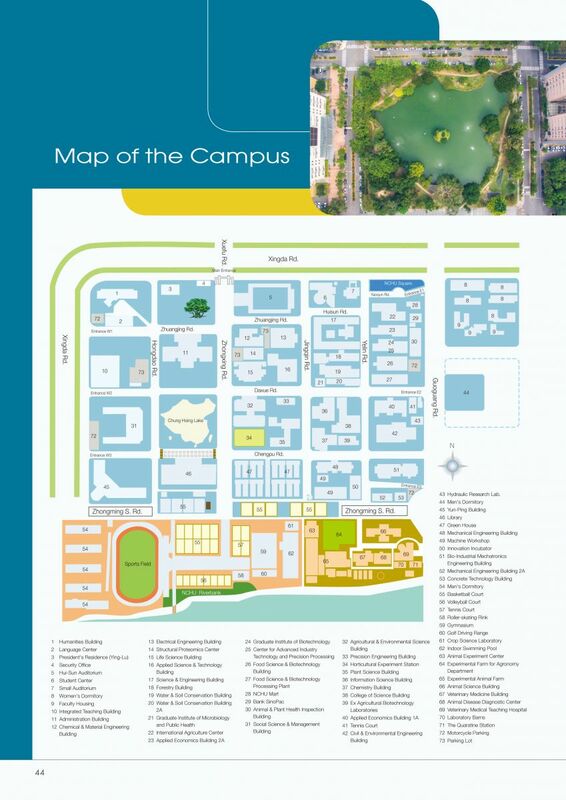 The main campus contains the College of Liberal Arts, the College of Agriculture and Natural Resources, the College of Science, the College of Engineering, the College of Life Sciences, the College of Veterinary Medicine, the College of Management, the College of Law and Politics, and the School of Innovation and Industry Liaison. the parking for the car and motocycle in the map.